Meeting the 2nd Sundays each month (4:30-6:30 p.m.) in the Administrative Building Lower Conference Room and the 4th Sunday each month (4:30-7:30 p.m.) in the Sanctuary Foyer. This group gathers at 4:30 p.m. for a time of prayer, around 5:30 p.m. they eat a meal together (4th Sundays only) and at 6:30 they study the scriptures together. What makes this gathering unique is the presence of all the children who participate in the study and prayer time. For 2019 we are using The Gospel Centered Life. This group meets every Wednesday from 9:30 a.m. – 11:15 a.m. in the Sanctuary Foyer. This gathering of mostly retired women have been meeting for more than 20 years. New additions are welcome! They work through topical studies and books of the Bible. Currently, they are studying, Matthew, The Coming of the King by John McArthur. These men gather at 6:30 a.m. in the Administrative Building Lower Conference Room to read and discuss books on Christian living and discipleship. As of January 2019, they are studying James using The Message by Eugene Peterson. These men gather at 7:00 p.m. in the Administrative Building Lower Conference Room to study and pray together. There are also times to enjoy fun and fellowship as a group. 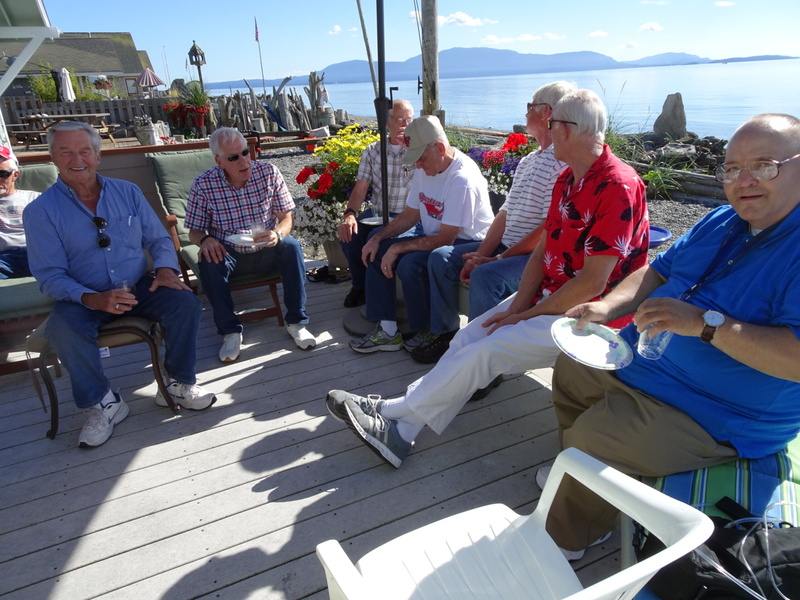 The group is between 5-7 men on any given week with some being members or regular attenders of Hope in Christ and others being friends who are interested. As of January 2019, the study guide, “The Book of Ephesians” is being used. Please come and join us. Meeting on the 2nd and 4th Tuesday of each month at Michael and Jennifer Boer’s home. This group gathers at 6:30 p.m. for a time of prayer and study. A study of the book of Ruth was recently completed and a new study will be beginning in February 2019. Call the church office for contact information if you are interested in joining. Meeting the 2nd and 4th Sunday of each month at Linda McConnaughey’s home. This group gathers at 7:00 p.m. for a time of prayer and study. They alternate between a book on Christian discipleship and a book of Scripture. As of January 2019, the group will be studying the book of Hebrews. Call the church office for contact information if you are interested in joining. This group meets on the 2nd and 4th Tuesdays each month, at the David and Ida Richards’ home to discuss Believe. Call the office for details and directions.